After taking PFP’s “Using Gardens to Teach” Summer Institute for Educators in 2014, third grade teacher Mrs. Suzi Sullivan was intent on starting a school garden at Clinton School. Since then, she has written and been awarded three grants in order to purchase the fence, garden, beds, soil, and hand tools that have made her vision a reality. Her students have been busy planting seedlings donated by Poughkeepsie Farm Project. School principal, Mr. David Scott said, "I am extremely appreciative of the support of our partners: Lowe’s Toolbox for Education, Whole Kids Foundation, Tractor Supply Company’s Dig-It Program, and Poughkeepsie Farm Project." Clinton students now have the opportunity to experience an outdoor classroom setting that fosters the learning of various topics including science, social studies, math, literacy, and nutrition. One of the main goals of the school’s garden is to provide educational lessons that incorporate meaningful messages about nutrition. According to Poughkeepsie Farm Project’s education director, Jamie Levato, “taking part in garden-based learning encourages healthful eating and connects students to academic subjects in engaging ways.” Not only does the exposure to fresh fruits and vegetables allow students to develop healthy eating behaviors and food choices, but the involvement in their growth, maintenance, and harvest establishes a more purposeful connection that will follow students as they move into adolescence and adulthood. Mrs. Sullivan says, “the garden will play a critical role in establishing an environment that supports healthy behaviors while providing opportunities for students to learn about and practice healthy eating and physical activity.” Research shows that nurturing students’ interest in eating fruits and vegetables and improving their knowledge of nutrition can lead to improvements in eating habits, and thus academic performance, social skills and behavior. Clinton School will have classes decide what to grow in the garden and spend one 40-minute period each week for garden bed maintenance or other educational activities like reading in the garden. 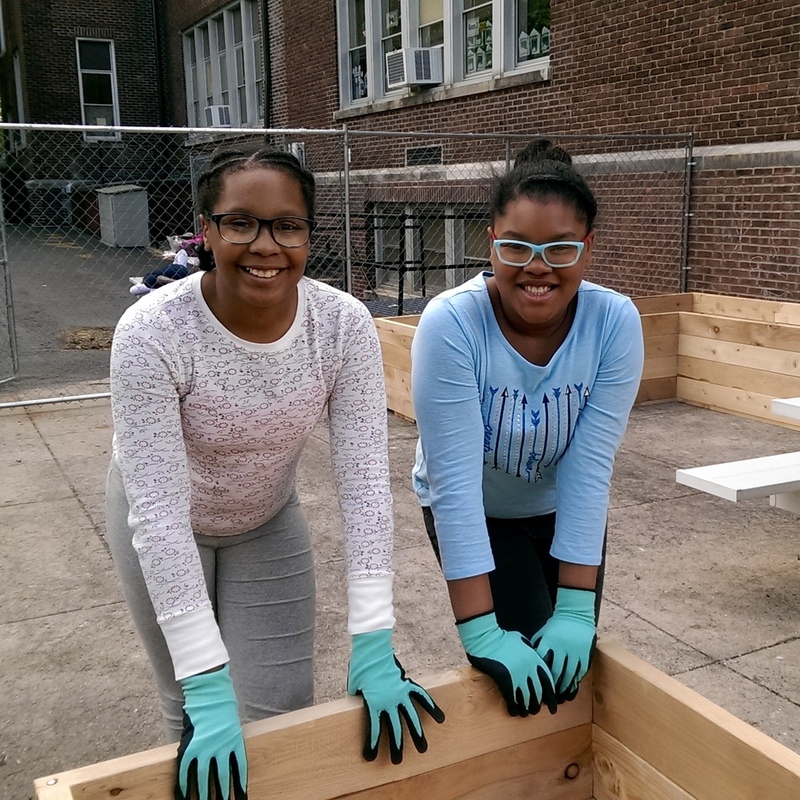 Mr. Scott, says he knows that the garden “will promote healthy eating behaviors by providing our students with direct, hands-on learning experiences in the school garden.” Additionally, students will be able to harvest and taste fresh produce. 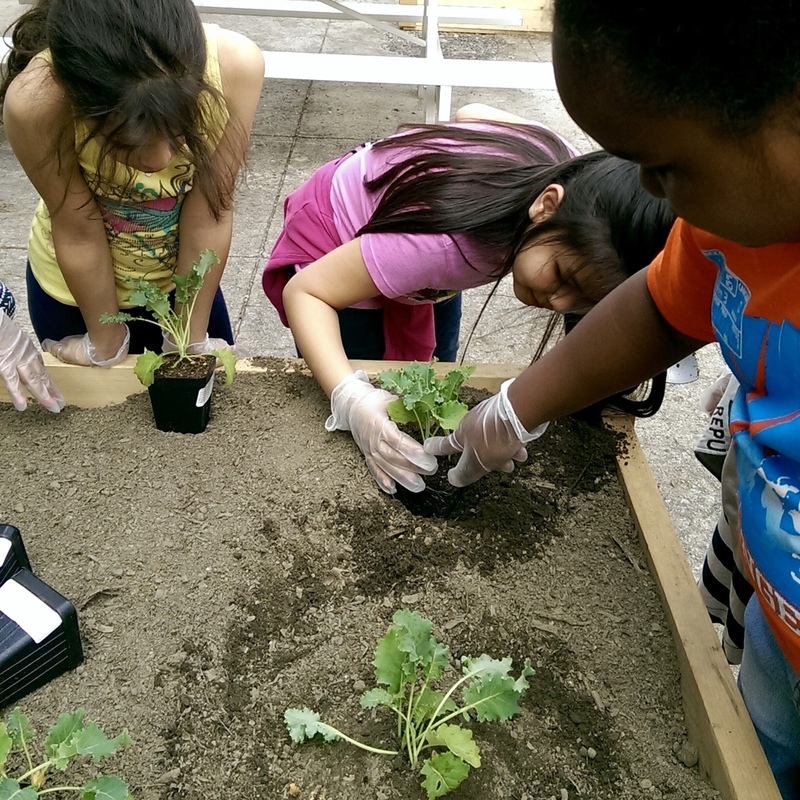 The success of the school garden program will be measured by student reports of their gardening experiences, including what activities they enjoyed, new fruits and vegetables they were able to taste, and what messages they took away from it. On June 10th, 2016, there will be an outdoor, full-school assembly at 12:45pm followed by a ribbon cutting ceremony at 1:30pm. This event will celebrate the importance of promoting health and well-being through student, faculty, and family participation in building and maintaining the school’s garden. Newer PostAre You Interested in a Fruit Share?